In general, I don't like it when trilogies get blown out into more books. However, when I heard The Geomancer was coming, I was thrilled. The first three books were awesome, and I am pleased to say that this fourth one more than lives up to that legacy. Sometimes additional books are weaker, but in The Geomancer, the plot was just as strong as in the previous instalments. I was drawn in from page one and my attention was so completely captured, I read the whole thing in two sittings. I felt the continuation of the story in The Geomancer worked really well. It picked up neatly from the end of the last book and didn't have any sense of 'filler'. It was great to see favourite characters back, and also to meet new ones. 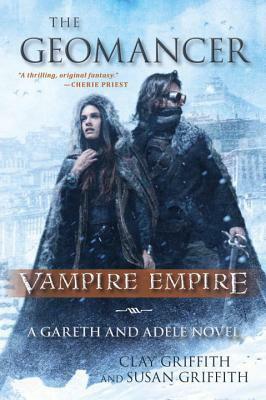 I am just as in love with Gareth as I was in the earlier books, and now I am fervently hoping that a fifth book will be forthcoming. The ending of this one certainly left the possibility for more. All up this was a marvellous read and I highly recommend the whole series.